I want to talk to you about the importance of exercise and to hold the space to have an open discussion. Not just the importance of exercise period (because we all know that) but the importance of exercise when you’re a mom. I am super into nutrition and all things health and wellness but it wasn’t until I started to crave exercise did I truly come to appreciate all that it does for my sanity. As a mom we are tired, stressed, overwhelmed, happy, sad, did I mention tired? We are for the first time in our lives putting someone else's needs before ours. Moming is a full time hustle and it’s quite easy to flip your lid if you’re not careful. Insert exercise here. Exercise boosts your mood, helps your metabolism to get going, helps you sleep better, boosts your energy, increases strength and flexibility, and so on. As women we NEED exercise. It’s just that whole getting motivated to actually do it kind of thing, that’s the real B. When Jack was 8 weeks old I just couldn’t take it anymore my body was literally craving movement so I went to my first Stroller Strides class with one of my best girlfriends Ashley. Side note I was totally thinking everyone was going to be sizing each other up and it wasn’t going to be a good enough workout, boy was I wrong. I left that class pouring in sweat and on a natural high despite being up every 2 hours on the hour to nurse my baby the night before. I decided on the drive home I was for SURE signing up because I needed this whole stroller thing in my life so bad. I attended a few more classes and then thought to myself, “I have to become an instructor!”. My reasons for this were simple, I love helping people which is why I became a health coach. I love that you can bring your baby and they can have a total meltdown and no one is judging you. 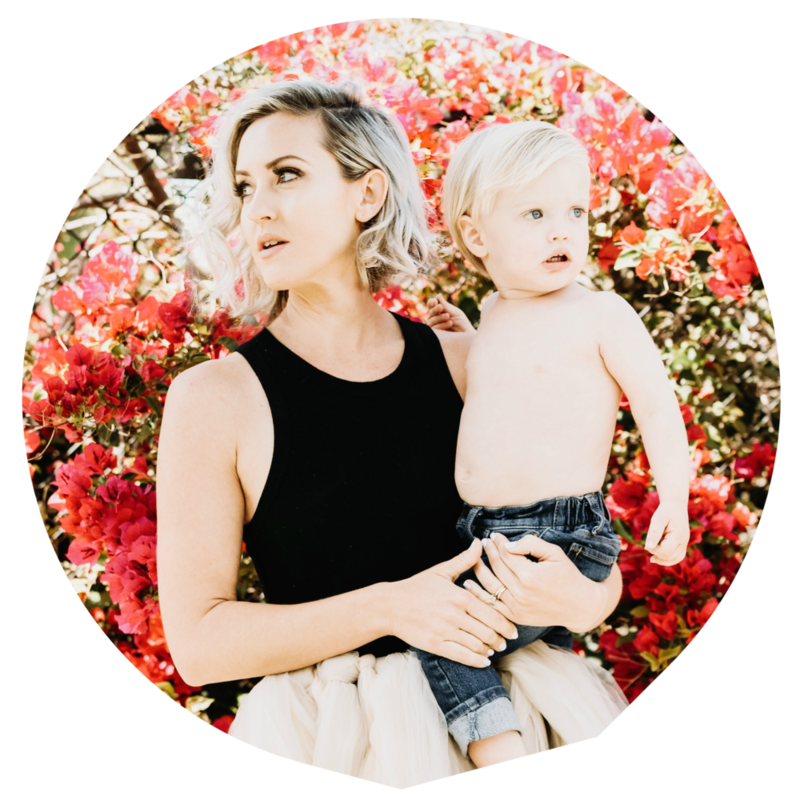 I love that this company FIT4MOM offers a place where you can come with your baby and be surrounded by other moms who are going through exactly what you are going through. I love the philosophy behind FIT4MOM, they are all about giving you strength for motherhood. You have your “village” of other mamas who you get to workout with, go out with, share play dates, share stories, and everyone is so nice and inviting. There’s no judgement. We are all in this whole motherhood thing together and that is the gift you get with FIT4MOM. I can tell you that as a first time mom running on little sleep and little patience I was so thankful I forced myself to get up, and go be surrounded by these other moms at Stroller Strides. I feel blessed to share this gift with all the mamas. Exercise in my opinion is crucial for us to be the best kind of parent to our littles. I encourage you whether it be Stroller Strides or lacing up your Nikes and going for a walk, get outside and move. Move not just for you but for your baby. Healthy moms make healthy babes! Show them from a young age what being healthy is all about, because trust me they’re watching and if you show them that exercise is important they will value it too!